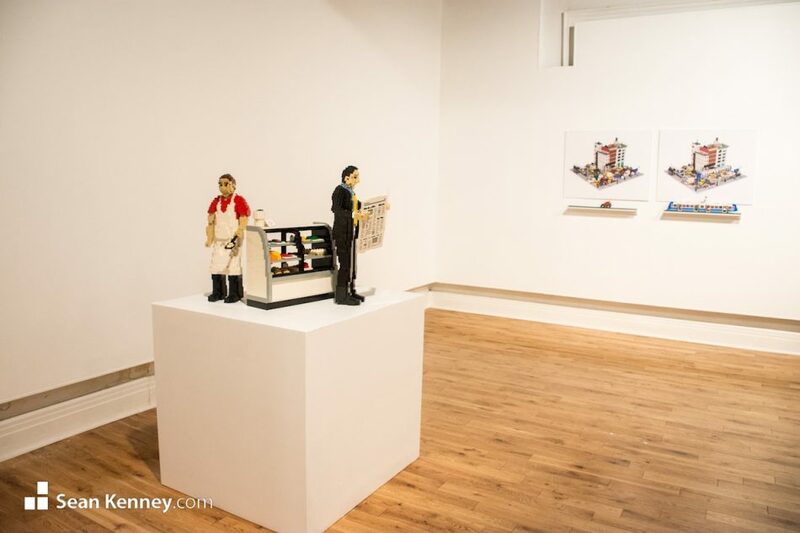 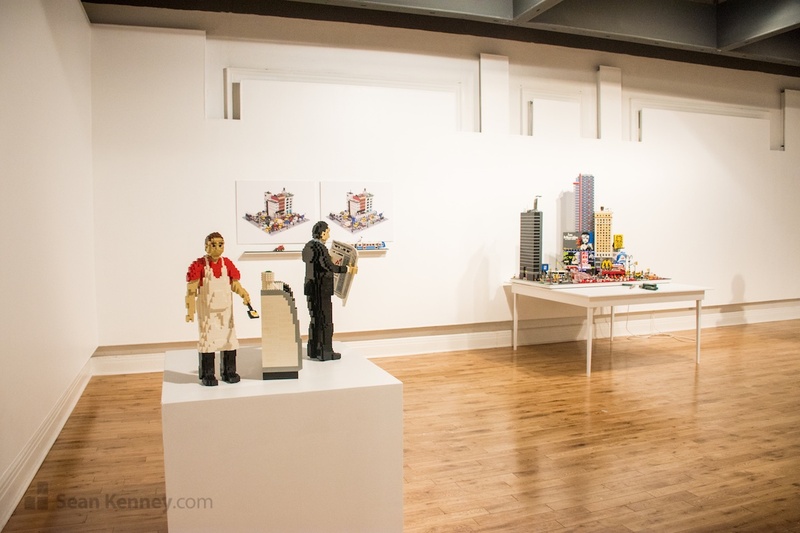 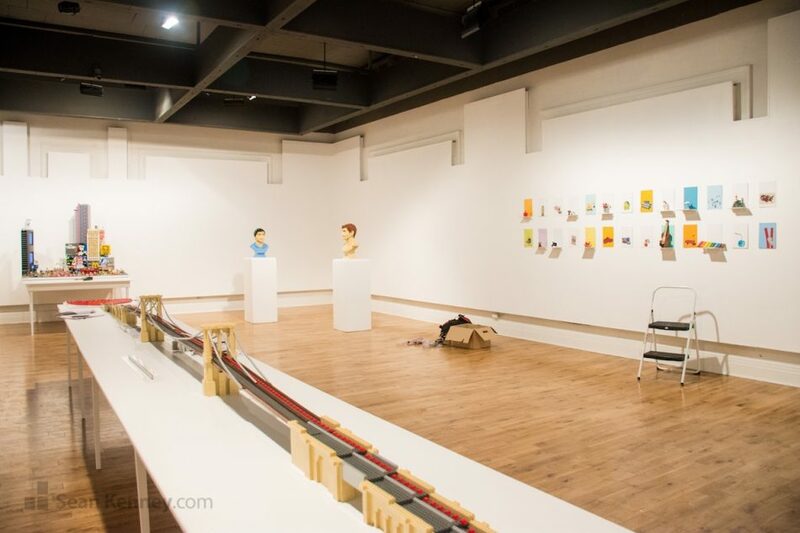 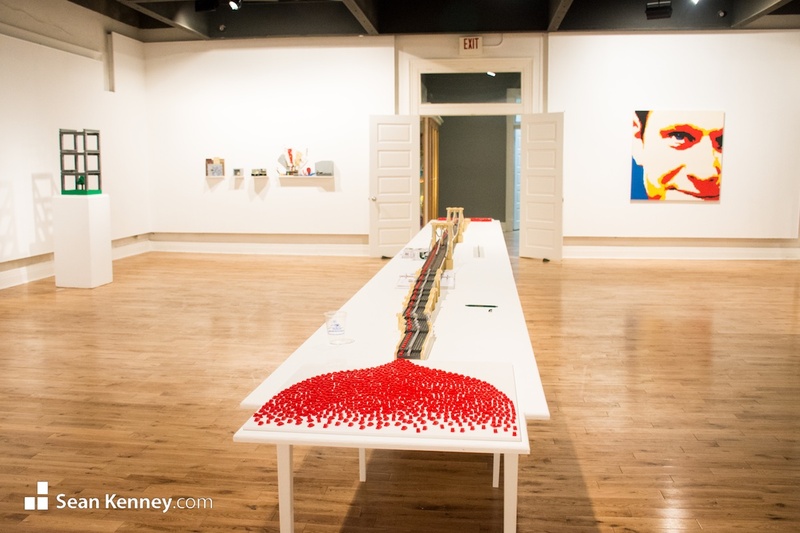 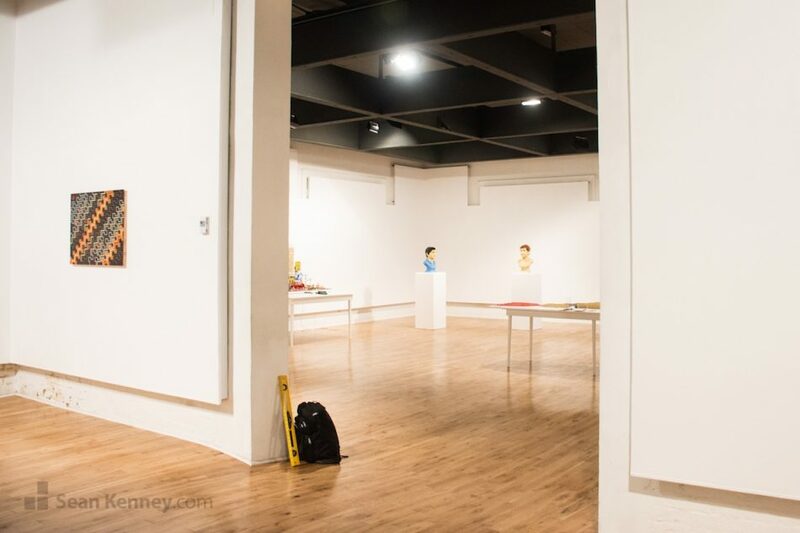 Piece by Piece, an exhibition of art with LEGO® bricks at the Pensacola Museum of Art (May through September 2017) emphasizes the nostalgic play of childhood created with childhood toys. 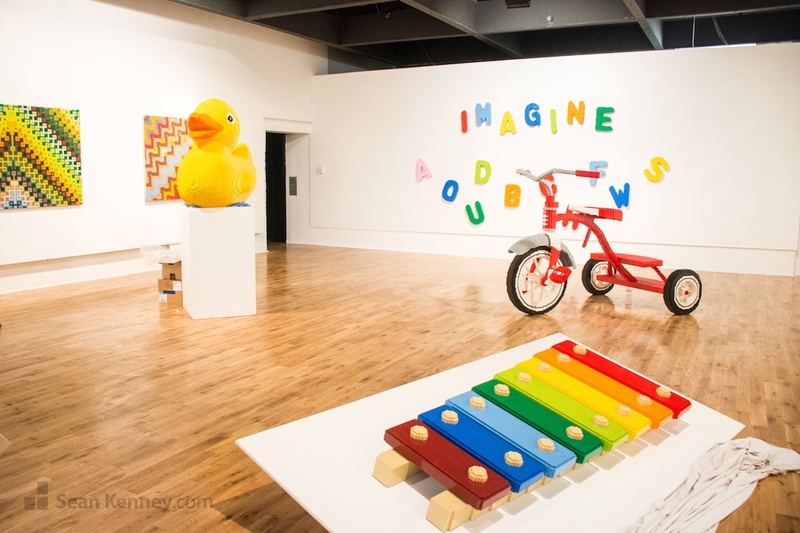 This interactive exhibition engages the subject matter and aesthetics of the everyday. Rubber ducks, robots, tricycles and bicycles all work together to bring childhood nostalgia back to life. 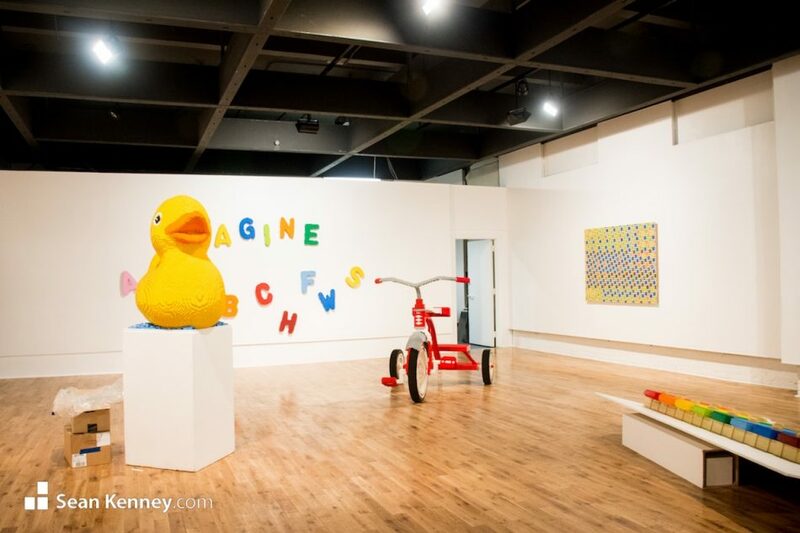 The content of the works in the exhibition attend to a variety of subjects that include sustainability and urban commuting; Claes Oldenburg-esque over-scaled pop cultural objects; and industrial design and abstract mosaics that pull from the artist’s own narrative as a designer. 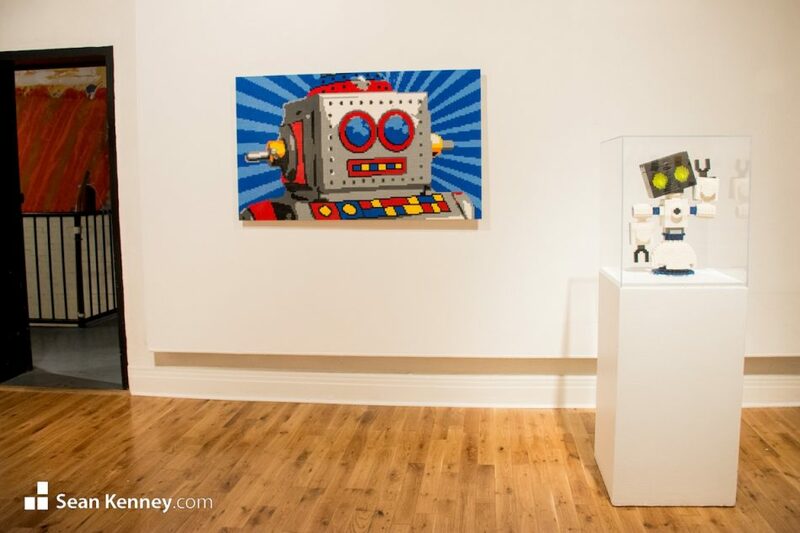 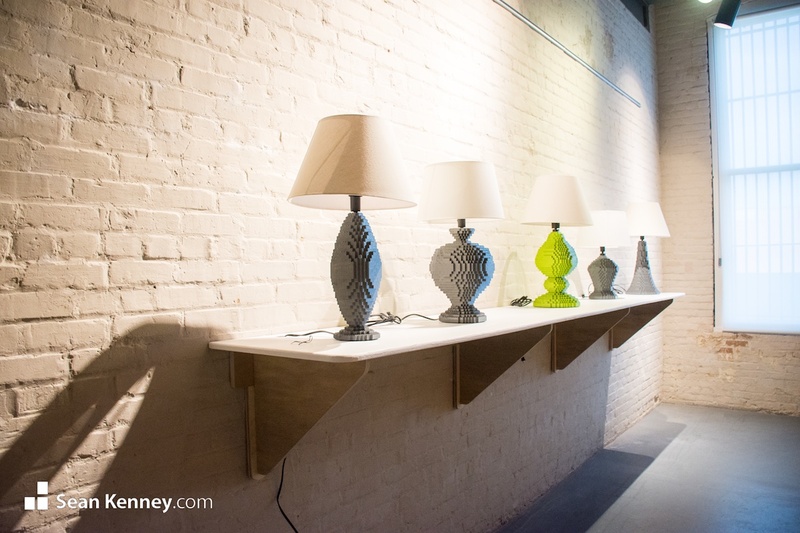 The show also depicts Sean’s journey from corporate designer to independent artist in a series of playful vignettes.